Today I am participating in Emma from All About My Movies’ first ever blog-a-thon! For someone who has been reading my blog from the very beginning (almost two years ago now), you’ve learned one simple fact about me. I LOVE Katharine Hepburn. So deciding that the performance that changed my life was one of Katharine Hepburn’s was easy. Picking which one it was, now that was the hard part. At first, I wanted to write about Susan Vance and Bringing Up Baby. Afterall, this is my favorite movie and it is the movie that made me love cinema. Susan is absolutely nuts and is often providing a very good reason for mental institutions, but it is impossible not to be drawn to that character. At times, I find myself wishing I could be more like Susan Vance; carefree, happy, witty, sassy, and still able to get the guy at the end. But for whatever reason, I’ve decided against writing more about Susan Vance. I’ve been flip flopping between Tracy Lord (The Philadelphia Story), Tess Harding (Woman of the Year), Amanda Bonner (Adam’s Rib), Eva Lovelace (Morning Glory), Alice Adams (Alice Adams) and Eleanor of Aquitaine (The Lion in Winter). I’ve decided against all of these performances as well. 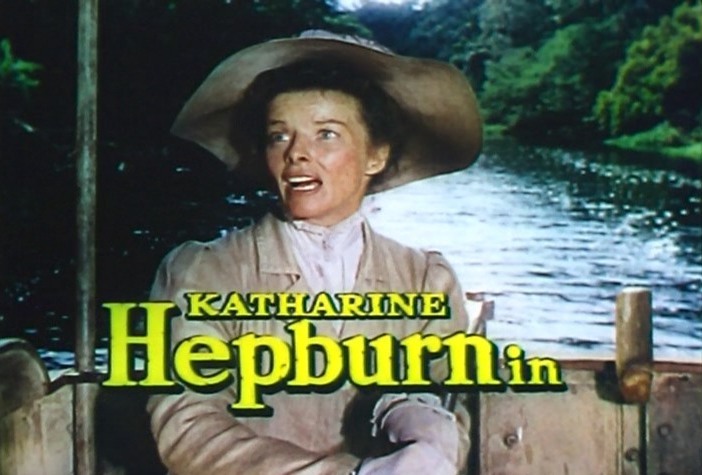 I think at some point during this process I briefly considered every movie Katharine Hepburn has ever been in. But don’t worry (especially if my rambling is starting to bore you), I eventually settled on one performance. 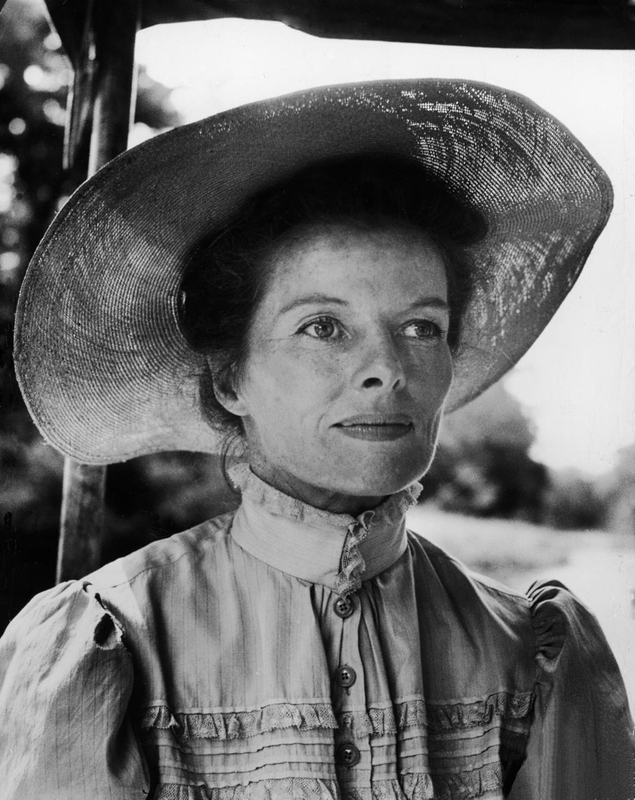 Katharine Hepburn as Rose Sayer in The African Queen. I know that someone out there reading this is probably thinking: How can an 18-year-old college student relate to a character who is a prissy missionary spinster? At a first glance, not a lot. But something has always drawn me to this performance. I was 15 when I first saw The African Queen in a back-to-back screening with Bringing Up Baby. I had just experienced a completely different Katharine Hepburn as Susan Vance and I wasn’t even intending on sitting through another movie. But something came over me when Robert Osbourne appeared and began his introduction; I didn’t movefor the next hour and 45 minutes. Rose Sayer is an interesting woman. She is a spinster and a minister’s sister. She is a seemingly proper Victorian-era woman, but she is also incredibly intelligent and strong-willed. She is the one who decides to launch an attack against the Germans and if she knew anything about boats, she definitely wouldn’t need Charlie Allnut’s help. And of course, Katharine Hepburn’s performance in The African Queen would mean nothing without her brilliant interaction Humphrey Bogart. Rose Sayer is the exact opposite of Charlie Allnut, Bogart’s character. They come from different social classes, he’s a heavy drinker etc. You’re thinking through the entire movie that there is no way these two can ever be a romantic pairing. But it does happen and when it does, it is absolute perfection. Most of all, I think what draws me to Katharine Hepburn’s performance in The African Queen is that moment after The African Queen successfully goes over the rapids. The look of pure joy and enthusiasm that appears on her face makes me wish I had moments like that occur every day in my life. Every time I see this film, I find myself believing no matter what, I can steer a boat over rapids, seek out even more dangerous situations, be condemned to death, get married and swim safely to shore all while having a damn good time. For me, watching Katharine Hepburn in The African Queen is the greatest experience anyone could ever have. Actually, I’m going to change that. Watching Katharine Hepburn in any movie is the greatest experience someone can have. The African Queen is where I suggest you start. After all, this movie has, in some strange way, allowed me to see parts of myself that I never knew existed. Who knows what it can do for you. Great post about my favourite actress, who I only discovered last year! Had I not watched The African Queen, I might never have seen any of Hepburn’s other films except for The Philadelphia Story, which stars my favourite actor James Stewart. Great post darling! I have to admit that this film and Bringing Up Baby is a tough call. But I think you backed up your choice 100%. Brava! Althoug I understand a little English, I know what you mean referring to The Africa Quenn, and K.H. She was a great actress, in comedy and drama, Have you ever seen Summertime? (Summer Madness)? I can’t believe there hasn’t been an American DVD release of “The African Queen”. Great post! Thank you all for commenting and enjoying the post! I really thought this was some of the worst crap I had ever written. Catherine — “The African Queen” is the best movie to see Katharine Hepburn at her best. Adam — I think anyone who sees this movie is bound to see all her others. And Jimmy Stewart is FANTASTIC! Lola — “Summertime” is also a great K-Hep movie. I love it! Citizen Kane — aka Austin ;) — I definitely have seen copies of “The African Queen”. Or maybe I’m just telling myself that. Previous Previous post: Happy Birthday America!